Got 5 Minutes? Learn Something New. Watching Geeks on Tour Tutorial Videos is like having your own personal computer trainer at your side. Jim and Chris Guld are Geeks on Tour. 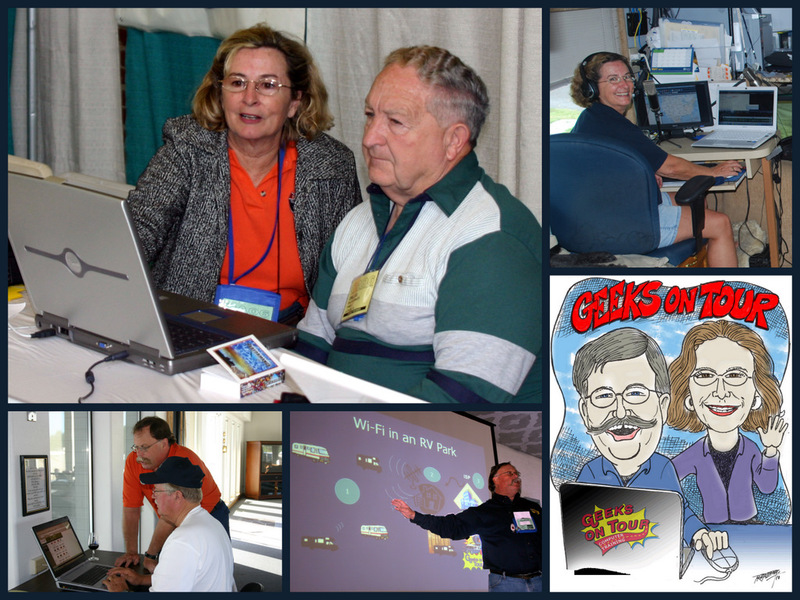 We tour around the country presenting seminars to other travelers at RV rallies on how to use GPS software, Digital Photo software and how to keep their travelog on a Blog. We break our topics down into short video lessons, from 4 – 7 minutes each. Try a few free lessons with our Featured Videos at right. Once you see how fun and informative they are, become a member so you can watch all 200 + videos in our Learning Library. You don’t even need to be a member to browse our Computer Tips Blog, or read thru the Q&A Forums. And, everyone should sign up for our free monthly newsletter to keep up with computers in the world of Travel.